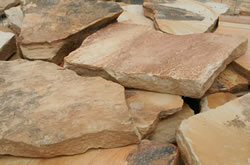 Flagstone has been used for centuries in order to create a more navigable surface. Even today, we find old stone pavers while excavating sites around the world. The original meaning of "flag stone" derives from it being an irregularly shaped stone slab, yet its "shape" was the same shape as "flags" mankind used centuries ago....hence...flag stone / flagstone. And one early definition of "flag" is a stone slab. Stone pavers, or, Flagstone pavers come in many shapes and thicknesses, as well as extremely hard material and soft material. Some of the first streets on the East Coast were covered with Belgian cobblestone pavers. 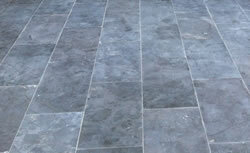 And other material, such as bluestone pavers, was used to create a stone paver driveway; and patio stones were used inside the homes for flooring. All Masonry and Landscape offers flag stone pavers created from concrete in several colors and much less expensive than "real" or natural stone pavers. 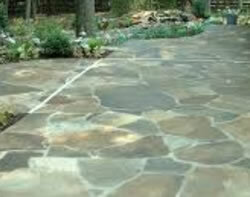 Stone pavers have become more exact in thickness and dimension over the years because of improved cutting devices. Although patio stones are higher in price than concrete landscape pavers and more expensive to install, stone paver designs bring warmth and luxury to any project. All Masonry and Landscape Supply offers many choices of pavers made from natural stone and we maintain a large supply in different dimensions for your project. We also carry hundreds of tons of landscape stone which can be used to create your stone paver designs if you choose to incorporate natural stone pavers in your project. 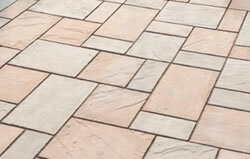 Stone paver designs are easy to incorporate within your project. But keep in mind that planning for the excavation and foundation is more demanding. Foundations or concrete slabs should be used when installing patio stones and pavers in the creation of a driveway or patio. 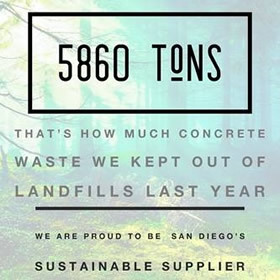 Our company sells and rents tools for cutting and trimming stone pavers and can offer advice on how to lay stone pavers, as well as offer all the materials necessary to install your project. Come visit our Outside Showroom today!